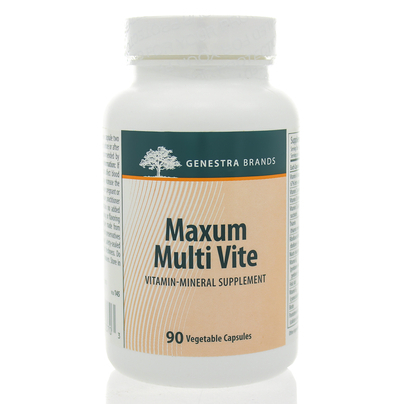 Maxum Multi Vite Maxum Multi Vite provides a well-balanced, high- potency hypoallergenic combination of vitamins and minerals along with digestive enzymes and a wide range of antioxidants to assist and promote overall health. Deficiencies in vitamins and minerals will result in a compromised immune system and will have a direct impact on physiological and emotional health. Due to depleted soils, food processing, environmental pollutants, and hectic and stressful lifestyles, it is difficult for individuals to ingest and absorb optimum amounts of essential nutrients. Maxum Multi Vite provides appropriate ratios of nutrients necessary to ensure endocrine, immune and musculo-skeletal systems healthy. Maxum Multi Vite is copper and iron-free, ideal for individuals suffering from high cholesterol, cancer, and hypertension.The capsules are 100% pure vegetable-sourced. Ideal for: men, women, non-menstruating women, the elderly, and young adults. Risk Information: If you are taking health products that affect blood coagulation, do not use, as this may increase the risk of spontaneous bleeding. 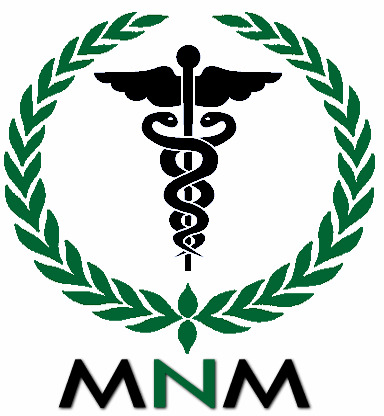 If you are pregnant or breastfeeding, consult your health care practitioner prior to use. If you have a liver disorder or develop symptoms of liver trouble; or if you have an iron deficiency, consult your health care practitioner prior to use. If you are taking medications for diabetes, high blood pressure or seizures, consult your health care practitioner prior to use. Recommended Adult Dose: Take one capsule two times daily with meals, or as recommended by your health care practitioner. Guaranteed to contain no added wheat, yeast, gluten, artificial coloring or flavoring or dairy products.